While it was one of the first 3-d games, using wire frame graphics, it also used an open ended playing structure within a massive play space, so that the player themselves could decide how to play it and where to go. Previous computer games at the time required the player to a follow a specific route and if they were killed (or after losing their lives), they had to replay the game from the start. By contrast Elite allowed the player to save their position to disc. Designing the game. From a software engineering point of view the game was incredibly creative as the programmers managed to overcome the limitations of computers at the time. The programmers were limited to 22k of code and so to allow them to create a vast universe they created a procedurally generated gaming world. This was quite a leap of imagination at the time. As a result the original gaming universe created could have been virtually unlimited in size; however it was cut down to 8 galaxies of 256 planets each prior to release to give it a human scale. This is a great example of engineers thinking ‘outside the box’ and allowing their imaginations to become a reality by overcoming technology constraints. The game programmers. The programmers were David Braden and Ian Bell. They met and wrote the game, part time, over 2 years while attending Cambridge University in England. The game was released on the BBC micro and eventually sold close to 1 million copies which made Braden and Bell wealthy men. 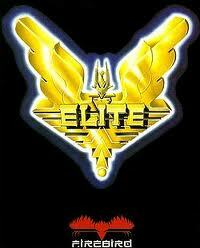 Later updated versions of Elite were released on other platforms. Elite possibly represents the high point of the British computer gaming industry, when they led the world. I hope that the original game is released on android as I think it would be a prefect game for smart phones, especially considering its small file size. One of the authors of the game, Ian Bell, has an interesting website about the game which contains a lot of information. To visit, click here. Irish Rail. Do you love your train station? Irish Rail: Double charging on some routes? A few years ago I had the pleasure of watching David Braben docking a Cobra Mk-III into a space station on a BBC B. It was one of the more memorable geek moments of my life. 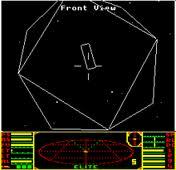 I can honestly say that Elite led me into a career in embedded programming; I was soon coding rotating wireframe cubes on the school’s computer. Hidden line removal soon followed. As this was slow in BASIC, I just had to teach myself 6502 assembler. It’s all Elite’s fault. you see. or something like that. But i still got a thrill from it though.